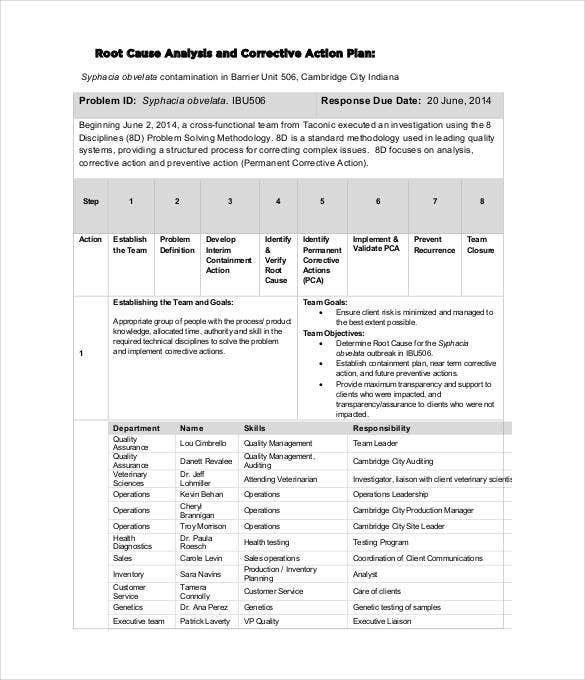 Corrective Action Plan Template – 25+ Free Word, Excel PDF Format Download! In any business, an entrepreneur and his team would obviously love for every task, activity and project to roll out as smoothly as possible, but many times things don’t turn out exactly as planned. Setbacks may occur, problems may pop. 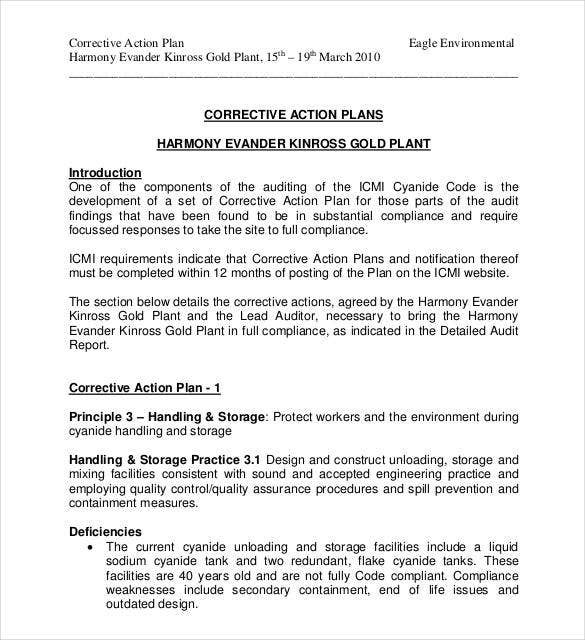 In order to deal with such a scenario even before it emerges, smart businesses do the smart thing: they devise a corrective action plan template already! Check out our readymade templates, download, personalize and use right away! 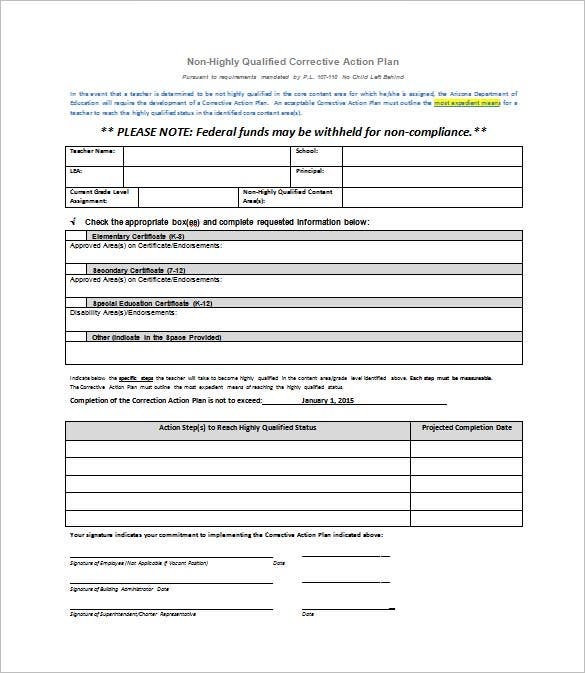 You can also see action request form template. 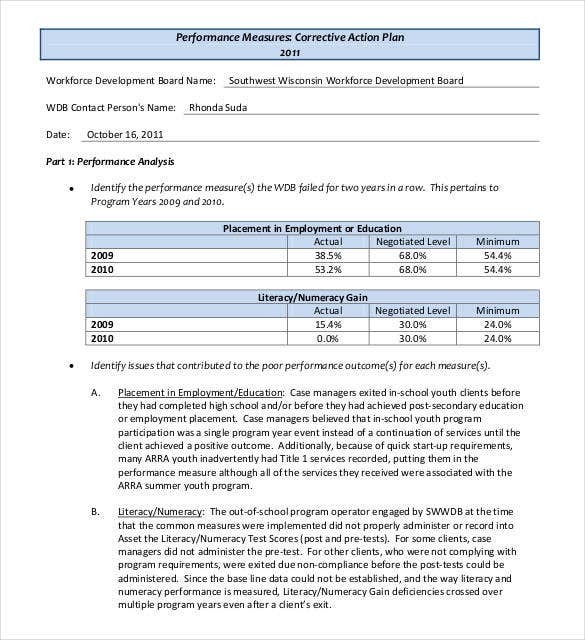 responsibleag.org | The Apparel Corrective Action Plan Template PDF generally contains the detailed description of the action required along with the deadline, the expected results and the actual date of the outcome of the results. 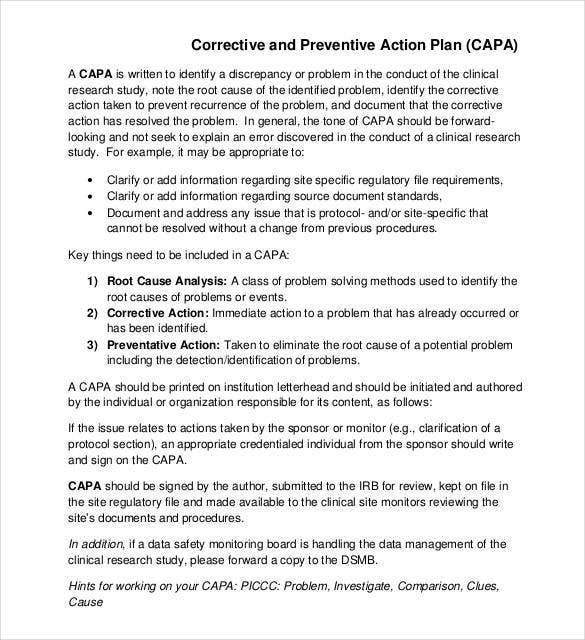 This is a concise and precise corrective action plan template. 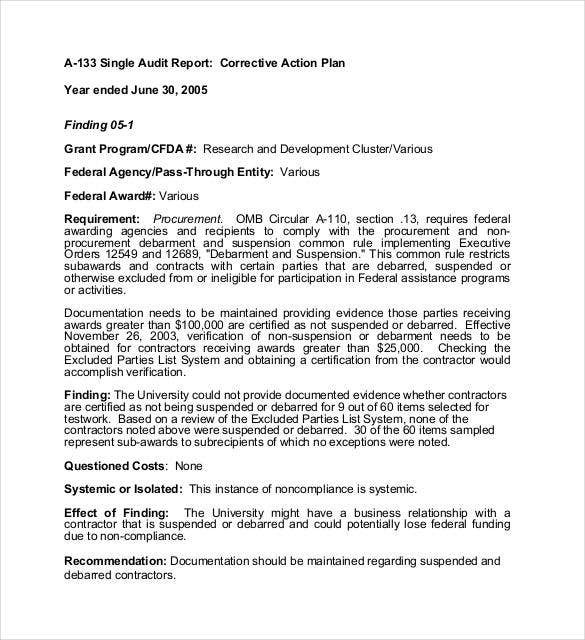 It contains a brief description of the plan and lists out the important pointers, including a deadline estimate for the completion of the strategic actions specified. 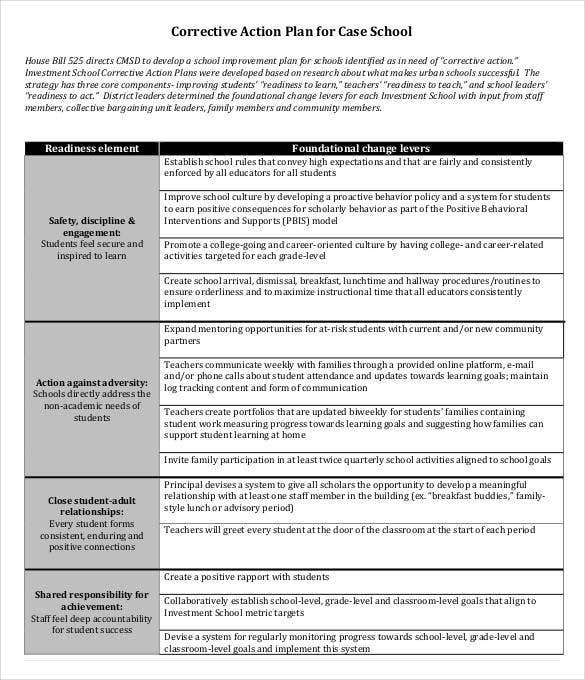 This template is available and downloadable in MS Word format. 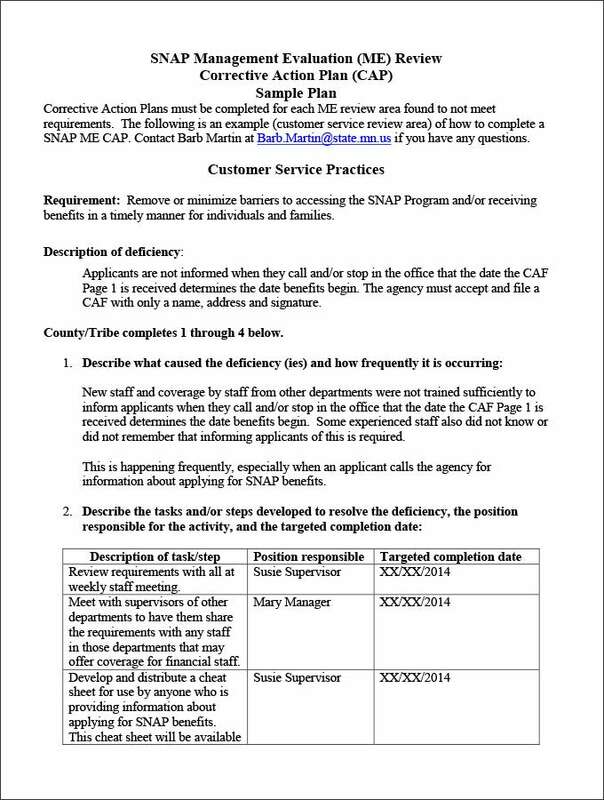 The Sample Corrective Action Plan Template includes the brief description of the test along with the list of the requirements and what and when these expected results can be achieved. 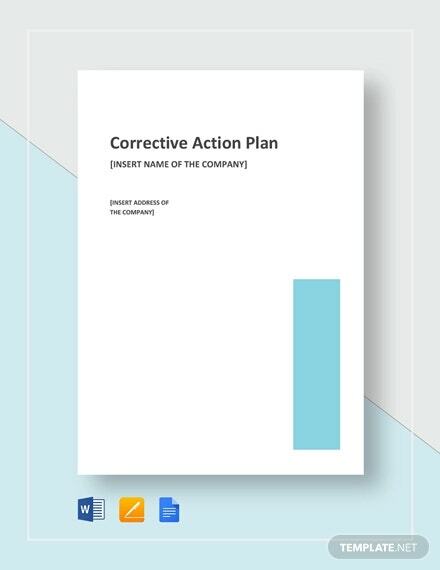 Correction action plan templates do not have a fixed format, however if you’re looking to get your hands on generic templates from this category, that’s very easy. You can download them in different styles and formats from a number of websites on the internet. 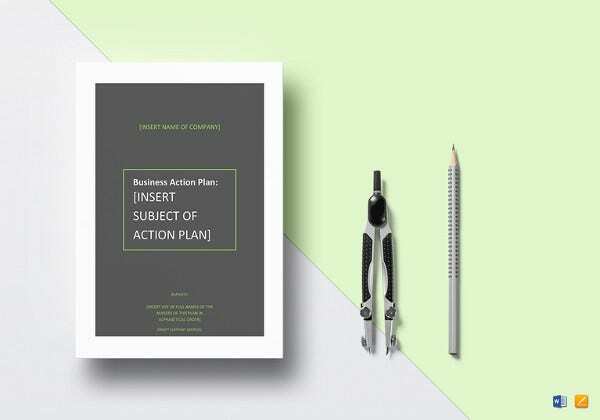 The ideal and best way to work with any ISO corrective business action templates is by devising a response strategy for the potential emergency scenarios and then filling out the pre-designed sections on the template with all the necessary information. You can obviously make edits or changes later if you need to. 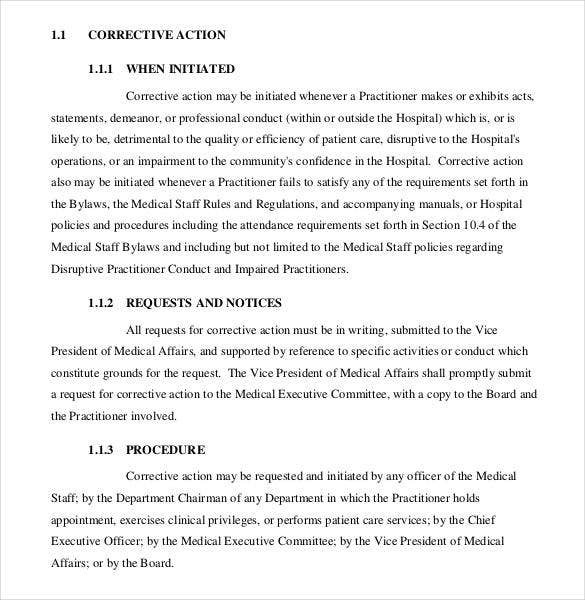 Medical authorities are also supposed to be armed with a Sample Corrective Action Plan Templates, in case of an untoward event. This particular sample is fit for the purpose. 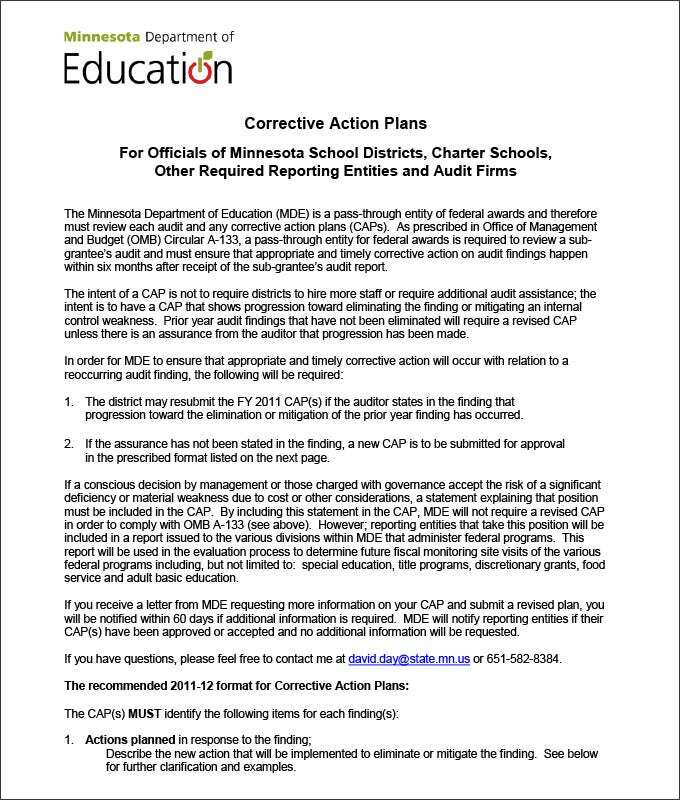 There are manufacturing corrective action plan templates also available in MS Excel format. Downloadable, customizable and print ready! 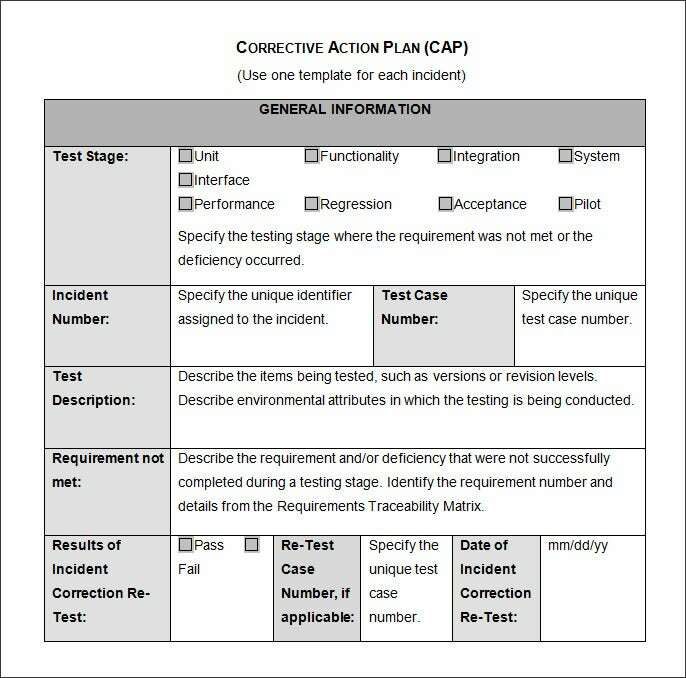 A Corrective Action Report is a document that is used to formulate an action plan that will come in handy to improve a specific situation in order to reach the desired results or goals. This plan is used by business organizations, service agencies, fashion houses as well as educational institutions. 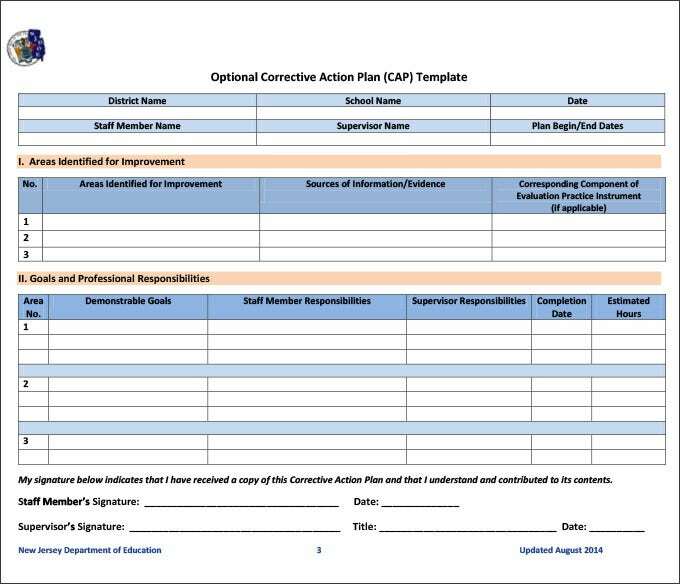 Free Plan Templates can be used to design a corrective action plan. 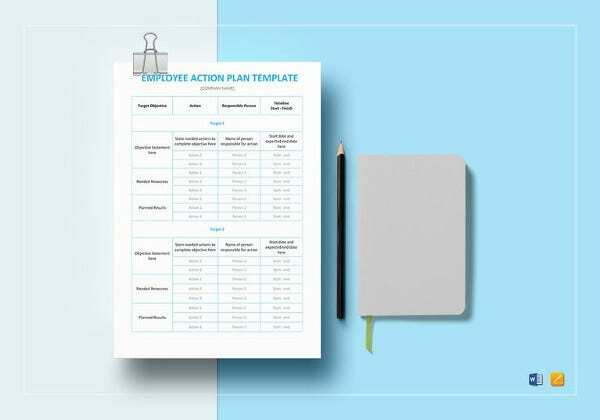 These templates are designed by experts and thus follow the designated format, making it easier for the users to decipher the plan and execute it in an efficient manner. 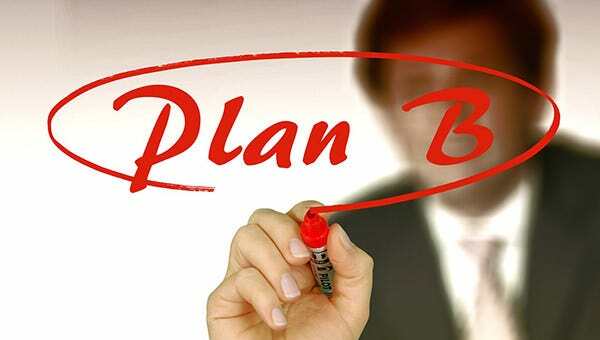 The plan gives a step by step breakup of the action that should be taken in such situations. 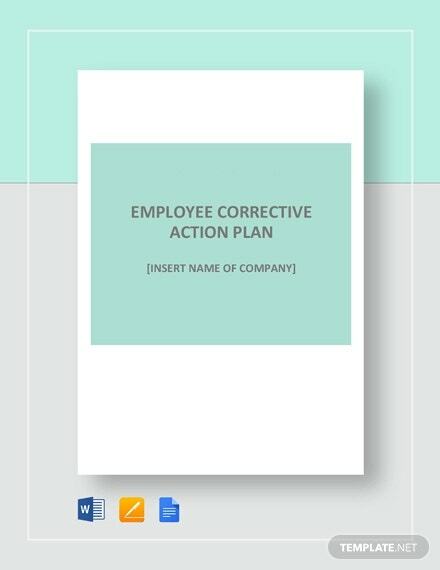 How to Write a Corrective Action Plan? 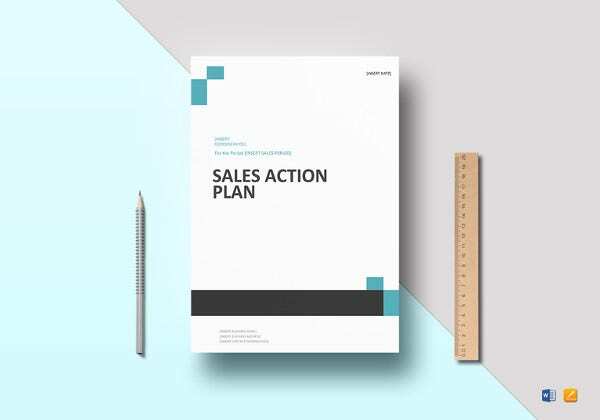 People generally use the Sample Action Report Templates to write a corrective action plan as these follow the perfect format that is at par with the industry standards. However, when it comes to writing a corrective action plan, it is equally important that the content too should be impressive. Here is how you can write such a plan. Start with the problem or the issue. 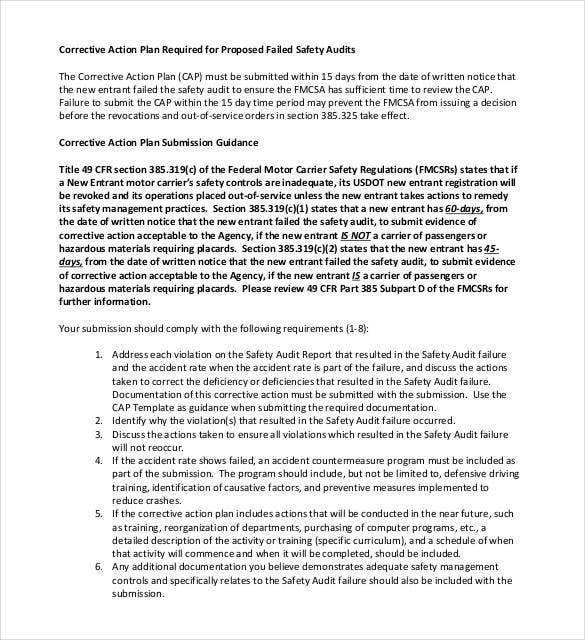 Give the names of the people who will be responsible for the corrective action plan as well as its outcome. Create simple and realistic solutions that are relevant to the problem. A person should be given the responsibility to handle each solution. Make sure that the deadlines offered are realistic and achievable. 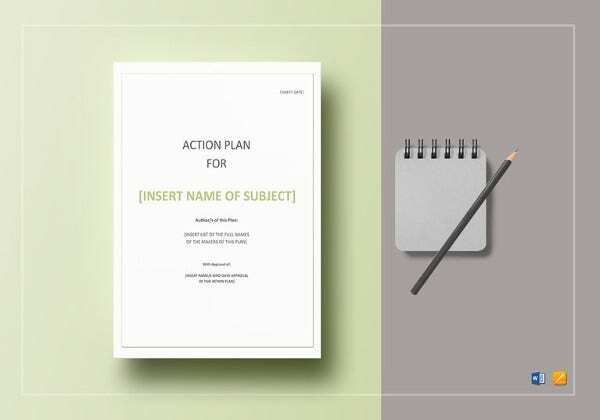 Irrespective of whether you are using a Performance Action Plan Templates or any other corrective action plan template, it is crucial that you include all the essential segments and sections in the plan. Wondering what these are? 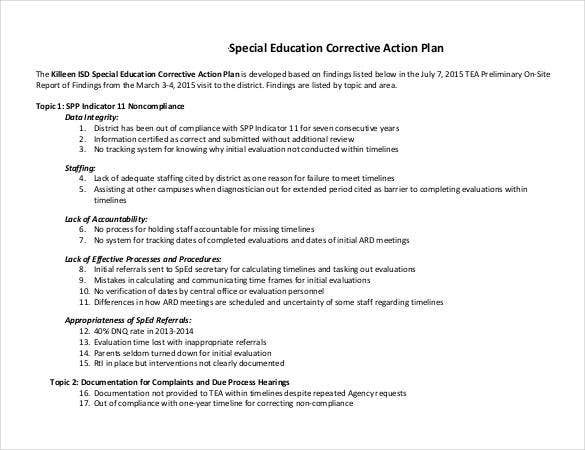 Here is a list of elements that should be included in a corrective action plan document. 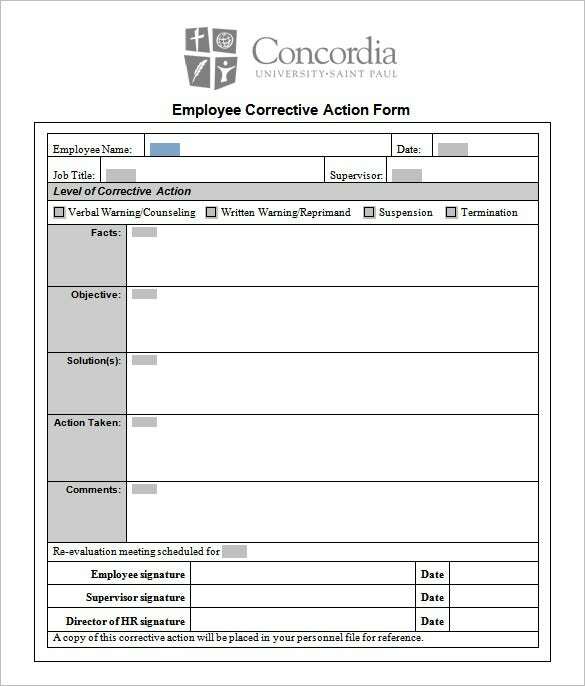 Corrective action plans are very important for business organizations, educational institutions as well as all kinds of projects that might have hit a pitfall. 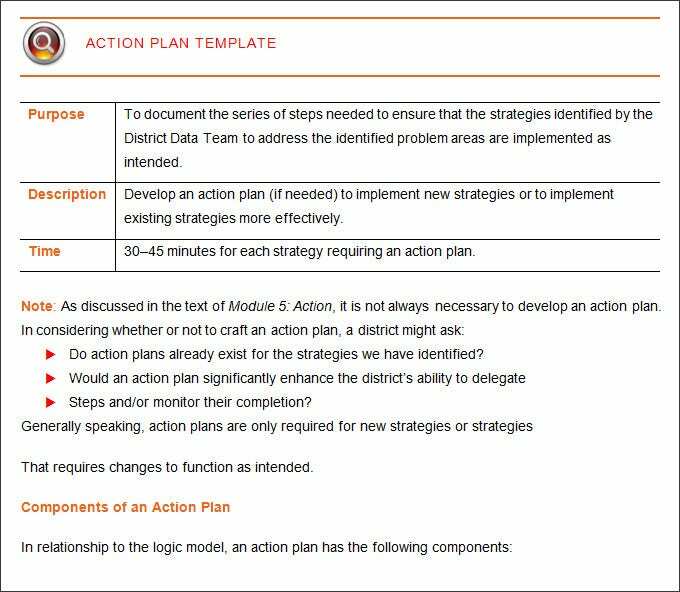 No wonder then that Action Plan Templates are so sought after. 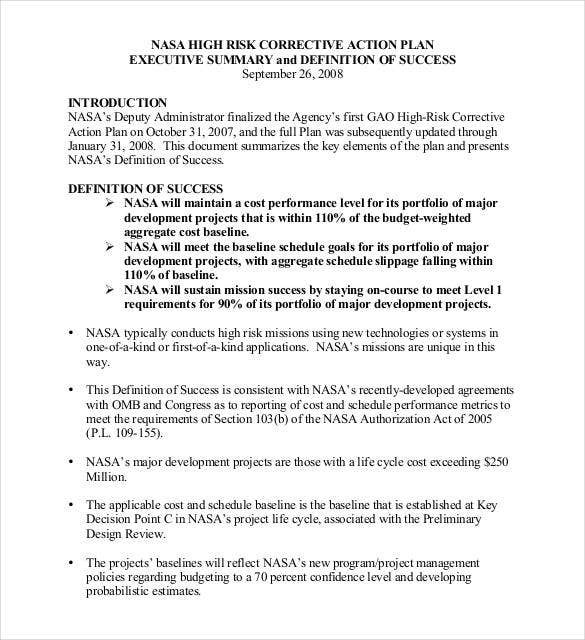 Let us take a look at the importance of corrective action plans. 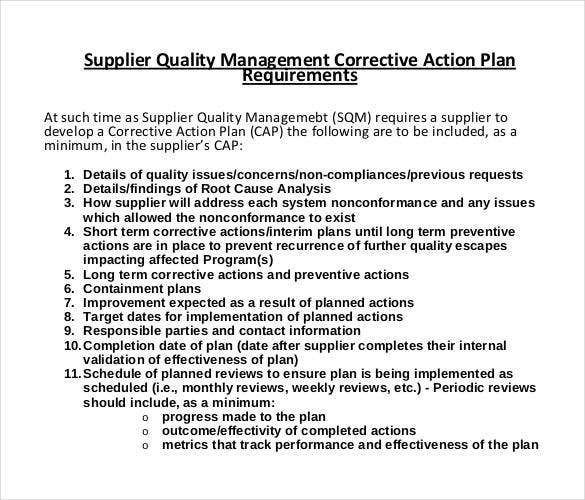 Not sure how to design that much needed corrective action plan? No frets. 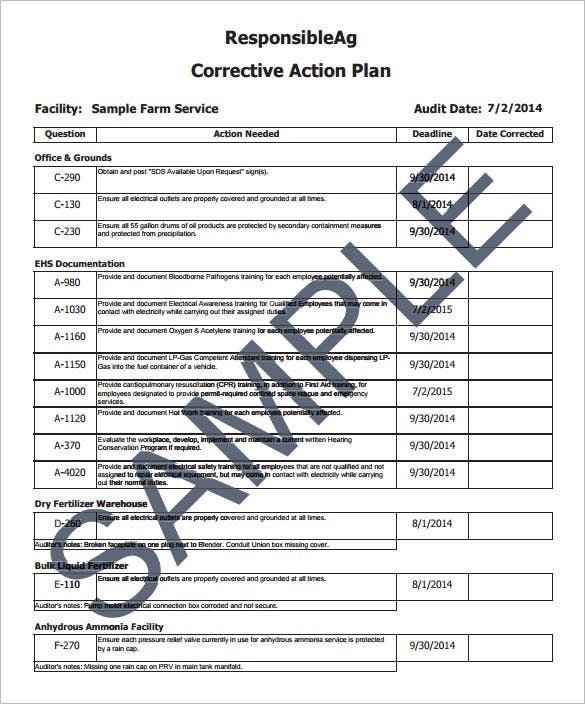 Check out our huge collection of corrective action plan and Word Action Plan Templates. With a varied selection, you are sure to find the one that would be apt for your organizational need. Since these templates have been designed by experts, you can be sure of coming up with a professional document. 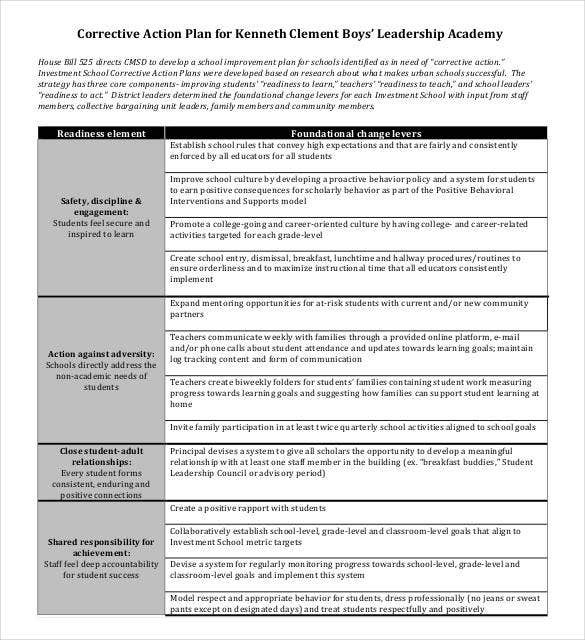 Easy to download and customize, designing a corrective action plan would surely seem like a child’s play with these templates. If you have any DMCA issues on this post, please contact us!